BRYDEN, JOHN, coalmine manager, businessman, and politician; b. 3 Dec. 1833 in Dalzellyie, Kirkoswald parish, Scotland, son of John Brydan and Ann Cooper; m. 1866 Elizabeth Hamilton Dunsmuir, daughter of Robert Dunsmuir*, and they had two sons and one daughter; d. 27 March 1915 in Esquimalt, B.C. In 1862 John Bryden received a second-class certificate in mining and metallurgy from the Society for the Encouragement of Arts, Manufactures, and Commerce, on the basis of his attendance at night courses at the Andersonian Institution in Glasgow. Soon after, he applied to work for the Vancouver Coal Mining and Land Company. It had recently purchased the Hudson’s Bay Company’s mining interests in the Nanaimo area of Vancouver Island, and Bryden was hired as a “coal viewer” for £300 a year. He came out to the colony in 1862 and began work under the supervision of the mines’ superintendent, Robert Dunsmuir, who was later to be a wealthy coalmine owner and Bryden’s friend, employer, and father-in-law. Bryden became a joint manager in charge of underground operations in 1868. He held this position until 1880, when he offered his resignation, ostensibly because he felt that his hard-line position with the employees had been undermined by concessions the company’s board had made during a strike. (Throughout his life he would espouse an anti-union philosophy; he told the 1903 royal commission on industrial disputes in British Columbia, “As to your Knights of Labour and grievance committee running the mines, I will dig clams for a living first.”) In 1881 he went to work managing the Wellington colliery for Dunsmuir, Diggle Limited, and he remained in that position until his retirement in 1894. His connections with the Dunsmuir empire, however, went far beyond his role as an employee, for he played an active role in several businesses either controlled by or connected to the Dunsmuir family. For example, he was one of the original (minor) shareholders of the Esquimalt and Nanaimo Railway and later treasurer; he was also one of the original (minor) shareholders of the Union Colliery of British Columbia, as well as vice-president; and he became managing director and then president of the Albion Iron Works. There is no definitive study of his business interests, but his investments appear to have made him a wealthy member of late-19th-century British Columbia society. Even before his financial successes, Bryden had worked hard to make himself part of the respectable element on Vancouver Island. In his first 15 years there he purchased land and attempted to set up his own small business, played a role in municipal affairs, obtained election as captain of the local militia, and secured appointment as a justice of the peace. In addition, he was active in the early organization of professional engineers in the province. He was frequently consulted on matters pertaining to the coalmining industry. For over 20 years he was a member of the board of examiners under the Coal Mines Regulation Act. 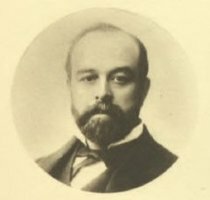 He testified in 1884 before the federal royal commission on Chinese immigration; in 1902 he served on the provincial commission on causes of explosion in coalmines; and in 1903 he gave evidence before the federal royal commission on industrial disputes in the province. Entering politics first as a member of the Nanaimo municipal council in 1875, Bryden was elected in the same year to represent Nanaimo in the provincial legislature. 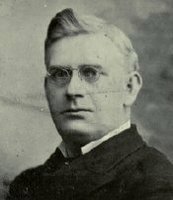 He resigned his seat the following year because of business complications but ran successfully for North Nanaimo in 1894 and 1898 and unsuccessfully in 1900. Although chosen in absentia to carry the Conservative banner in the 1900 federal election, he did not stand. 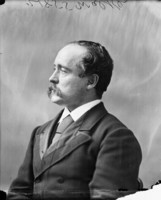 At a time when political parties in British Columbia had not yet fully developed, Bryden had no fixed political label; he ran first as a reform candidate in opposition to the government of George Anthony Walkem* (1875), then as a supporter of the Theodore Davie* administration (1894) and the John Herbert Turner* administration (1898), and finally in opposition to Joseph Martin* (1900). His electioneering statements and legislative voting record indicate that he was in favour of economic development, an advocate of temperance, opposed to gambling, unwilling to extend the franchise to women, and above all a rigid supporter of the right of employers to hire Chinese labourers. Although he received public criticism for his support of capital in general and the Dunsmuir empire in particular, Bryden seems to have been well respected by his election opponents. In the realm of constitutional law Bryden is important for having launched, as a shareholder, a legal challenge to the Union Colliery practice of hiring Chinese for underground labour in apparent violation of the Coal Mines Regulation Act. This litigation, obviously the result of collusion between James Dunsmuir and Bryden in order to obtain a decision of ultra vires, was decided in the 1899 case of Union Colliery v. Bryden, where the Judicial Committee of the Privy Council struck down the legislation on the grounds that it interfered with the federal power over “naturalization and aliens.” The decision freed the Dunsmuir empire to continue hiring Chinese at half the wages of white workers. A close member of the Dunsmuir family, Bryden advised Robert’s widow on financial matters and tried to stay neutral in the public dispute between her and her son James. 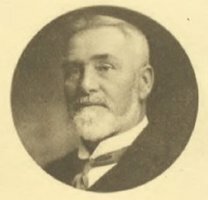 Following his retirement he moved to Esquimalt, where he appears to have lived quietly after his electoral defeat in 1900. He was no longer “John Bryden, mine manager,” but “John Bryden, capitalist,” president of several mining companies, who speculated in property development and invested the lion’s share of his capital in mortgages. There exist only fragmentary descriptions of Bryden the man. When he retired from the Vancouver Coal Mining and Land Company in 1880, local citizens praised his conscientiousness, prudence, and caution as a mine manager, his politeness and gentlemanly characteristics, and his “aversion to public display.” At his death a close friend wrote that he was “of rather a retiring and self-effacing disposition . . . [with] the proverbial Scotch caution fully developed.” Perhaps in part because of Bryden’s reticence his name appears in none of the biographical collections of early British Columbia pioneers, and he remains relatively unknown in the province’s history. A collection of material relating to John Bryden, including a copy of his 1862 mining diploma as well as stocks and records of investments, is in the possession of Laurie Harpell, his great-granddaughter. BCARS, E/C/B84a; GR 184; GR 1304, box 182, file 1915/4579; GR 2731, box 2; I/GB/V27; I/GE/Alm. B.C., Attorney General, Registrar General (Victoria), Company registration files, file 54 (1878) (mfm. at BCARS). General Register Office for Scotland (Edinburgh), Kirkoswald, reg. of births and baptisms. Nanaimo Community Arch. (Nanaimo, B.C. ), Nanaimo Literary Institute records, A-O-2-O; B-6. Daily Colonist (Victoria), 25 May 1863, 5 May 1864, 3 March 1868, 6 May 1876, 8 June 1898, 15 March 1915. Nanaimo Free Press, 25 April 1874; 5 Dec. 1875; 23 Jan., 13 Dec. 1876; 20, 27 Nov. 1880; 21 Jan. 1888; 9 April, 13, 18, 26 June, 12 July 1894; 27 June 1898; 28 Sept. 1900. Nanaimo Gazette, 19 May 1866. Vancouver Daily Province, 26 Feb. 1916. Victoria Daily Times, 9 Aug. 1890, 4 April 1945. Lynne Bowen, Three dollar dreams (Lantzville, B.C., 1987). B.C., Legislative Assembly, Sessional papers, 1877: 504; 1884: 183–86; 1903: J9–J16. Can., Royal commission on Chinese immigration, Report and evidence (Ottawa, 1885; repr. New York, 1978); Royal commission on industrial disputes in the province of British Columbia, Report (Ottawa, 1903), 262–68. Directory, B.C., 1882/83, 1889, 1892, 1895. D. T. Gallacher, “Men, money, machines: studies comparing colliery operations and factors of production in British Columbia’s coal industry to 1891” (phd thesis, Univ. of B.C., Vancouver, 1979). Government Gazette, Vancouver Island (Victoria), 4 Feb. 1865. Alan Grove and Ross Lambertson, “Pawns of the powerful: the politics of litigation in the Union Colliery case,” BC Studies, no.103 (autumn 1994): 3–31. Terry Reksten, The Dunsmuir saga (Vancouver, 1991). Ross Lambertson, “BRYDEN, JOHN,” in Dictionary of Canadian Biography, vol. 14, University of Toronto/Université Laval, 2003–, accessed April 20, 2019, http://www.biographi.ca/en/bio/bryden_john_14E.html.